Give a welcoming homely feeling to your lovable pet with our fabulous and high quality Bone-Chocolate dog bed cover. Its standard large and extra-large size will let your dog cuddle while sleeping. Made from finest polycotton material, this dog bed cover is extremely soft, very cuddly, and durable. Your dog will surely relish sleeping on this soft and fluffy dog bed cover. 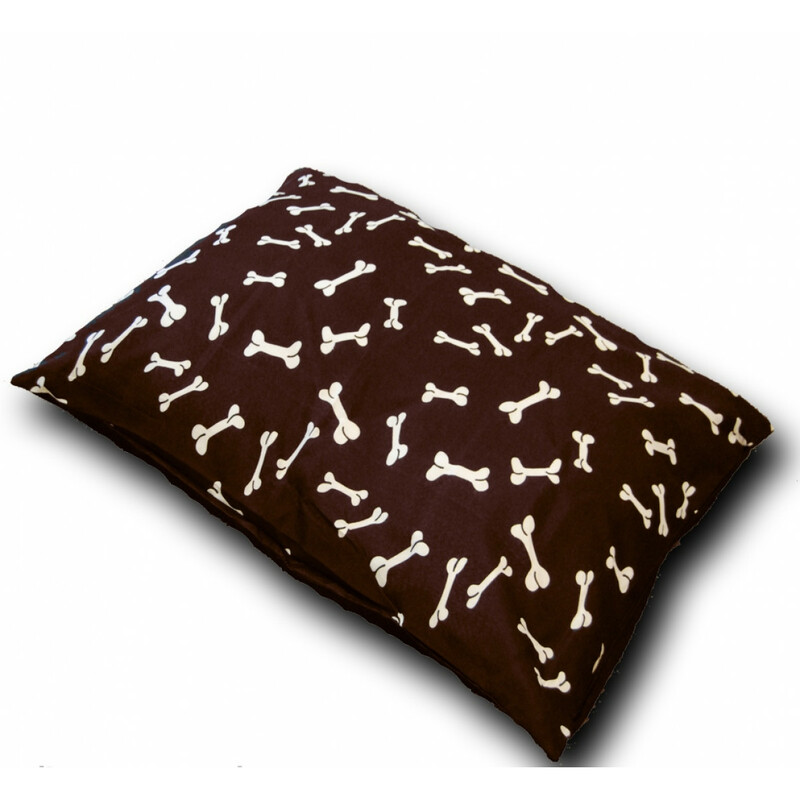 The front side of this cover is decorated with your pet's favourite bone and the back side is plain and simple.